This week Norma Jean and I are just south of Birmingham, Alabama, where I’m holding a meeting for the Helena Church. The church is served by two fine Shepherds Ken Craig and Jim Driskell and two dedicated preachers, Bryan Moody and Joe Hickman, who was a classmate of mine at Florida College back in the late 1960’s. In just two days we’ve enjoyed a wonderful fellowship with these brethren and feel a real connection to their church family. The word rendered “mind” is translated “attitude” in other versions. 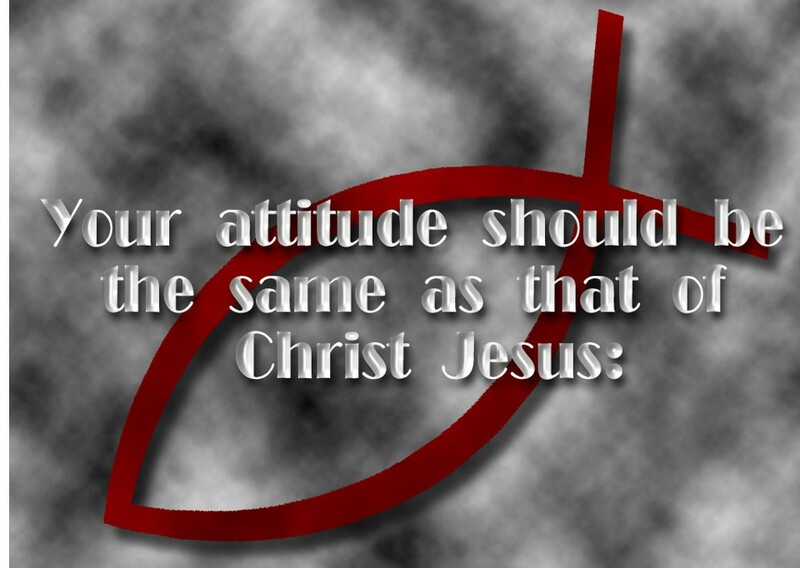 “Your attitude should be the same as that of Christ Jesus” (NIV). Thus to have the mind of Christ is to develop the attitude of Christ. To think as He thought. To feel as He felt. To act as He acted. To be like Him. And allow our being to grow out of our relationship with Him. If I’m honest with myself, I don’t always have the attitude of Christ. Sometimes my attitude is selfish and self-serving. My thoughts are not always directed by spiritual concerns. Noble intentions. Or honorable objectives. When I study the example of Jesus, His attitude was submissive to the will of the Father. It was a surrendered mind. He was selfless. Not self-serving in His ministry, mission, and message. His mindset was focused on serving others. And sacrificing his life for me. And for you. Having the attitude of Christ, is a lifelong pursuit. It is not something we can say we’ve totally achieved and then move on to something else. It requires constant attention. Continual adjustment. And consistent application. My attitude is reflected in my preaching and teaching. Is it Christ-centered? Does it exalt Him? And does it lead people to deeper faith, greater love and a higher hope? My attitude is revealed in my relationships with others. My brethren. My preaching colleagues. My family. My friends. And my wife. How do I talk to them? Treat them? And behave toward them? Am I displaying the attitude of Christ? His golden rule of relationships demands that I treat others the way that I want to be treated (Matt 7:12). My attitude is exposed in subtle ways. In daily choices. In personal habits. In the books I read. The shows I watch. The music I listen to. My response and reaction to life’s problems. And even the way I comport myself under pressure. Spiritual success, like material, physical and financial success, depends on my attitude. Christ is the standard. He is our example. His attitude should be the basis for all other qualities to transform my life, mold my mind, and direct my steps. And so as we stand against the devious devices of the devil and fight the good fight of faith, we must arm ourselves with the attitude of Christ (1 Pet 4:1). In fact, daily we are challenged to “be renewed in the attitude of (our) minds” (Eph 4:23). Thanks for this article! I need it! would love to hear or see your series….in the world we live in today….nothing is needed more, than the attitude of Christ. God Bless. Ken, here’s something you can use sometime in talking about attitude. Can’t remember where I got it. But it’s cute. One man was explaining to a friend about his days in college. He said, “No, I never actually was in the top half of my class, but I can say that I was in the group that made the top half possible…” Nice attitude. Thanks Randy. I like that. A lot. Probably because I can relate to it. If you’re in Temple Terrace stop in an see Aaron, the basketball practice grind is kicking in gear. Attitude indeed reveals one’s true colors. Only the proper attitude will result in obtaining a home in Heaven. Good article, Brother!